After a fairytale recap, thrilled fans of THE ORIGINALS were treated to one mother of a first look at the upcoming second season during the series' Comic-Con panel. White Collar is a Wrap. 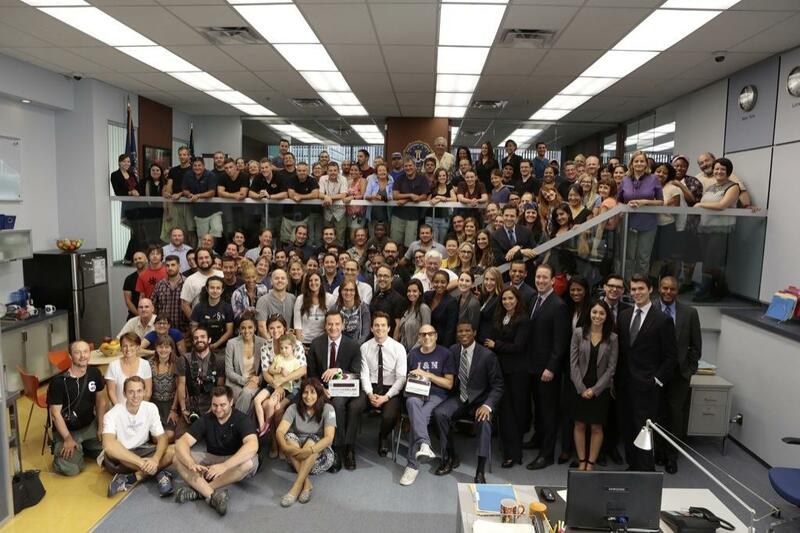 It looks like it's a wrap for the canceled show White Collar. Jeff King ( Writer / Director / Producer of White Collar and Continuum) posted this picture on twitter. HBO has renewed the drama series THE LEFTOVERS for a second season, it was announced today by Michael Lombardo, president, HBO Programming. Created by Damon Lindelof (Emmy® winner for "Lost") and acclaimed novelist Tom Perrotta (Academy Award® nominee for "Little Children"), the series is produced for HBO by White Rabbit in association with Warner Bros. Television. Lindelof serves as showrunner. "We are thrilled to bring back THE LEFTOVERS for a second season with the exceptional talents of Damon Lindelof and Tom Perrotta," says Lombardo. "It has been truly exciting to see the overwhelming response to their provocative and original storytelling. We look forward to continuing the journey as the show delves deeper into the lives of those who remain." or was it The Rapture at all? Set in a small New York suburb, the intimate family drama focuses on the residents of the fictional town of Mapleton, whose preconceptions are shattered in the wake of a global event dubbed "The Sudden Departure." Three years after the fateful day when 140 million people disappeared without a trace, the series looks at the ways ordinary people react to inexplicable events that can unite or divide families and communities, examining how their untold grief and the strain of an unprecedented calamity can turn faith into cynicism, paranoia, madness or cult-like fanaticism.